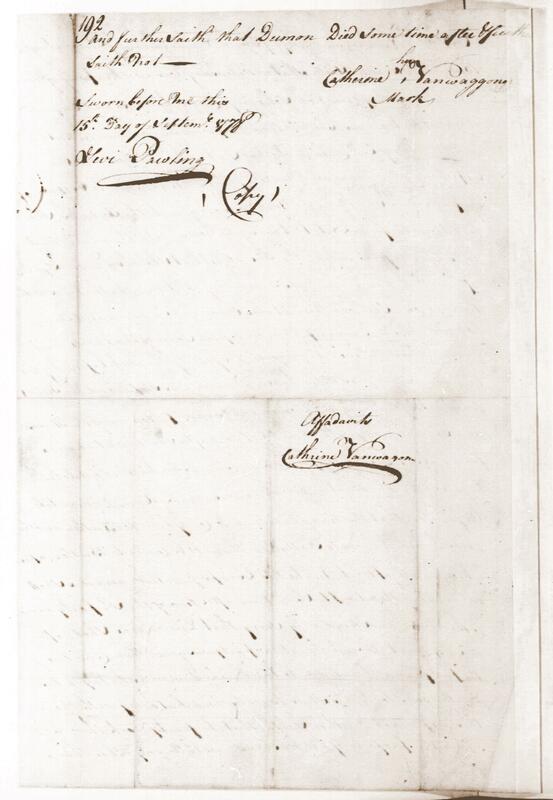 Catherine Wanwaggenen was questioned by Thomas Posey and it was in her home that Harmonus Dumond died. 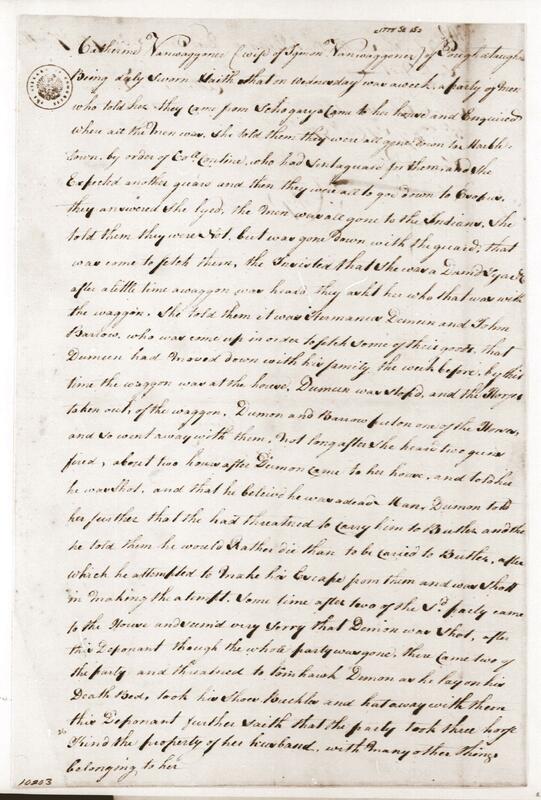 Below this transcription are copies of the actual affidavits in George Washington's Papers in the Library of Congress. Sworn before Me this 15th Day of September, 1778.